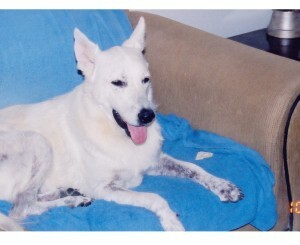 Blizzard was a healthy 90-pound, a five-year-old white German shepherd. During this past year, her health started declining dramatically. 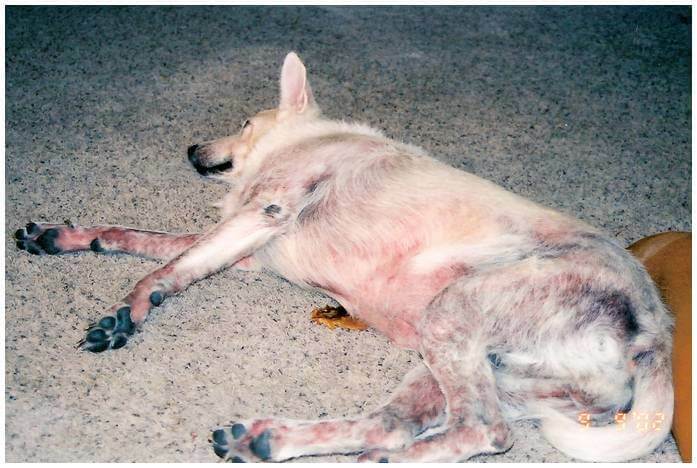 Her skin had become very itchy and inflamed and she was constantly chewing and biting at herself. 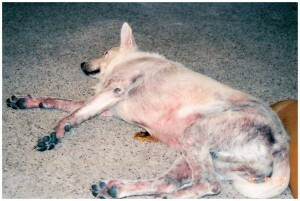 She began losing hair over most of her body to the point where you could see her skin. Also, her skin had a bad odor and had blackened badly in some areas. You could tell that Blizzard felt bad! 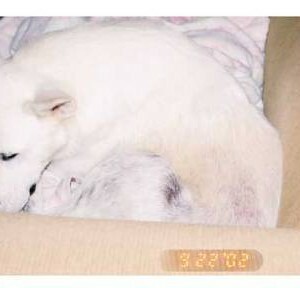 She was lethargic had difficulty sleeping because of poor joint health. She preferred dark areas of the house and did not like to go out into the sunlight. After this, she began losing weight and eventually she lost 30 lbs. 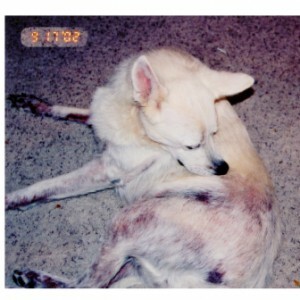 I took her to numerous vets and dermatologists, but no one could tell me what was really wrong or how to remedy the problem. The Vet’s best guess was to give her five (5) Benadryl per day after numerous rounds of antibiotics and anti-inflammatory medications. If anyone saw her they were shocked at her appearance because she looked as if she had been thrown from of a car. My vet just said, “her time was up”. September 9: Very lethargic. Itchiness and inflammation begin to subside. In the middle of August, I saw a local TV commercial about NZYMES® and wished I had only seen it sooner. I was thinking to myself “maybe this could have helped Blizzard.” Anyway, I saw the ad again, three more times, throughout the week and decided to call and order anyway. It certainly couldn’t hurt, and it was less expensive than a visit to the vet or the numerous skin conditioners and shampoos we tried. Sept. 13-20: Less itchiness and inflammation. Skin begins to clear. New hair growth was seen. Now spraying skin with 2% Ox-E-Drop solution 3-4 times daily. The people at NZYMES.COM felt that Blizzard’s problem was a combination of poor immune system health and yeast-overgrowth imbalance of the GI Tract (candidiasis). They suggested starting with only 2 parts of the NZYMES® Healthy-Skin Kit initially to test if the cleansing process would take place. This was done to help support optimal micro-flora growth both internally and topically. 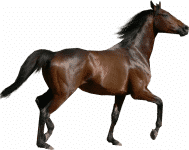 They also made some diet suggestions that we switch to better foods which avoids the starchy carbohydrates and do the same for her treats as well. Sept. 22, 1 Month Later: Dramatic improvement. Skin clearing. More hair growth. Sores clearing. 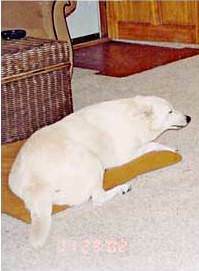 Weight increasing; energy and alertness returning. Around the second week of September, she began showing the signs of cleansing that they told us about and she went through a couple of weeks of increased itchiness, redness on the skin and even some lethargy. I called the office and they asked if we had been spraying her problem areas 2-3 times a day with the Ox-E-drops 2% solution. I said, “NO, not really”! So we started spraying her as instructed from then on with the 2% solution and began to get very good results. 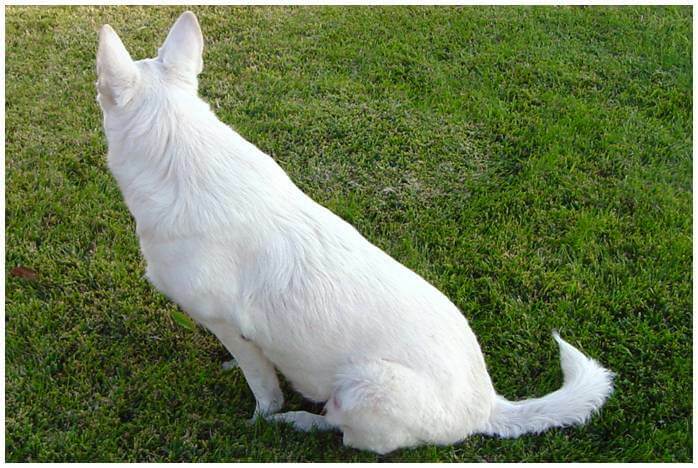 By October 2, six weeks after we began using the NZYMES® products and changing to the recommended food, the redness over most of her body was completely gone, her fur is beginning to grow back in beautifully. Oct. 4th, 1.5 Months: Everyday Blizzard is getting better. Starting to act like a happy dog once again. By late November, the constant biting, chewing, and scratching had subsided. Blizzard now runs and plays like the beautiful dog she used to be and hopefully, will never need to go to the vet again for any kind of illness. She’s gained back some weight and is now 75 lbs. She looks and acts like a very healthy dog once again. I am so glad that we did not put her down as we were advised by the doctor. The people at NZYMES.COM explained that they were just developing 2 new products as part of a new “Healthy-Skin program designed to use NZYMES® products specifically to help with these type problems. They said that they expected Blizzard may go through another cleansing cycle when summer heat came upon us and that the new products would be available around then. Nov. 28, @ 3 Months: 90% recovered. Itchiness is gone. Most hair re-grown. Energy and playfulness returned. Just as they had predicted, Blizzard had a second bout of cleansing. It started in the middle of July 2003 when the weather here in California turned much hotter. The redness and the itching returned and Blizzard miserable again. I called Biopet right away and told them and they said this was often the case especially when the warmer temperatures came around. They told me that had the two NEW products now available to add to Blizzards daily maintenance program. We purchased the NZYMES® BacPak Plus and NZYMES® Tincture of Black-Leaf. Once again their suggestions worked quickly. In about 5 days the redness on the skin and the itchiness began to disappear and Blizzard in a happy dog once again. December 8th One big happy puppy! 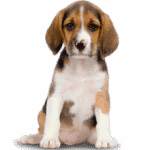 They also said that pets can experience FLU-LIKE symptoms with some intermittent vomiting or diarrhea. That was the case for Blizzard as well. 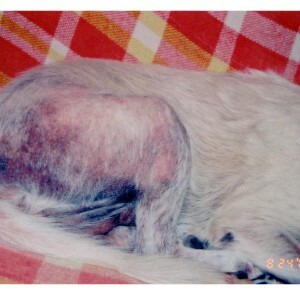 Even though the itchiness subsided, sometimes she actually looked worse during the first month of treatment. (See photos) However, to be honest, I wasn’t spraying her topically with the 2% solution of Ox-E-Drops as often as suggested. (2-3 times daily as a minimum) and it made a major difference when we did. NZYMES® Healthy-Skin Kit, good food, a little knowledge and common sense truly saved Blizzard’s life. I do want to mention to everyone reading this that they told us in advance, that with cases like ours where the immune system health problem is deeply rooted in the GI tract, the symptoms can often become worse before they start to get better. This is especially true in the first 2 months of the Healthy-Skin program. Elizabeth Cotton – Santa Ana, CA.